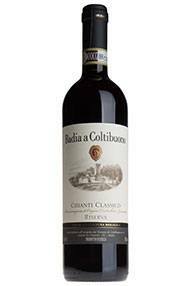 Located in Gaiole in Chianti, Badia a Coltibuono’s history dates back to 1051, to the Vallombrosan order of monks, whose fine abbey (‘Badia’ ) still stands proud at the heart of the wine property; ‘Coltibuono’ means ‘good crop’ by the way. Current owners, the Stucchi Prinetti family have only been in residence since its purchase in1846 by great great grandfather and Florentine banker Michele Giuntini, cousin of the Selvapiana family of Rufina. The present generation, siblings Emanuela, Roberto, Paolo & Guido, now run the show, bringing this most traditional of wine estates up to date. At 74ha it’s no garage operation, but it is fortunate in owning a significant slice of subzone/sottozona Monti in Chianti, whose excellent terroir is much prized. Another asset is their stock of ancient Sangiovese clones, which they have used to replant key sites at higher densities of 7-8,000 Sangiovese plants per hectare; as opposed to the ultra traditional pattern of low densities of red and white grapes. 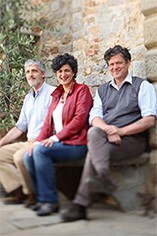 In 1996 they built a new winery in Monti, and with the 2003 harvest their fruit was certified ICEA organic. Roberto Stucchi Prinetti remarks that since going organic they’ve noticed that the fermentations have been easier to follow. He adds that though they’ve sacrificed journalist ‘Points’ they’re more than happy with the pale elegance of their wines. 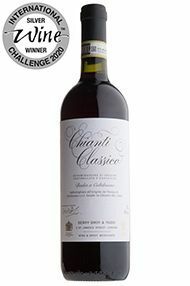 They also produce a Chianti Classico Riserva.